”White Hart Lane the World Famous Home of the SPURS” that introduction alone sends shivers up my spine and has been doing so since the mid Seventies until the early Noughties, when unfortunately due to circumstances I had to stop going to my beloved church. It wasn’t the first time that I went to White Hart Lane, that was in the Sixties, where I witnessed the likes of Jimmy Greaves, Alan Gilzean, Pat Jennings, Cyril Knowles, Dave MacKay and Mike England just to name a few, I was in love, in love with football, in love with White Hart Lane, (how many of you can remember the first time you went up the stairs and set eyes on the pitch and wallowed in the atmosphere?) and I was in love with SPURS. We were already a great team in the Sixties with some silverware already in the cabinet and we played football in the ‘Tottenham Hotspur’ way and set a few records on the way, nothing less was permitted at the time according to our greatest ever manager, the one and only Bill Nicholson. White Hart Lane heaved in those days with crowds as high as 75,000, everyone wanted to see Spurs, we were the team of the decade and thanks to my Dad who went weekly, I was witness to some great football. He introduced me to Spurs even though he was often quite exhilarated and sometimes a bit scared by the size of the crowd and by the fact that his feet hardly ever touched the ground, instead he was carried along by the tidal movement of the fans, this meant that I could only go to the odd game here and there, but the virus had been sown, the Spurs bug was well and truly planted deep into my veins and coursed through every part of me, so much so that when I’d reached the age of consent I was already a regular in the Seventies. I also owned a season ticket at the time and later I owned four, one for my brother and two for my sons, who are still regulars with season tickets today. Now I saw the likes of Chivers, Peters, Mullery and a young Perryman, again to name but a few. White Hart Lane in the Sixties and the earlier parts of the Seventies was a non-segregated stadium and you could walk around from the Paxton to Park Lane mixed in with fans of the opposing team. The West Stand was always a bit exclusive and I remember the old West Stand Enclosure in the corner that when segregation was introduced and there was an ‘away end’ in the Park Lane corner (as we know it now) they were the voice of Tottenham and chanted constantly towards the away fans, it was beautiful, the acoustics in that old stand was amazing. In my heyday, I settled for the Shelf Side, on the halfway line and under the TV camera gantry. We were the invincible Shelf-side. We used to make sure we arrived early enough to get a good spot, but more importantly, to see Glenn Hoddle warming up, it was like your all time favourite starter to your all time favourite meal. Of course, as we all know with Spurs not everything was rosy, we had our ups and downs and sadly we were relegated in the late Seventies, but bounced back up immediately with a splendid season at the first time of asking, I watched the likes of Glenn Hoddle, Ossie Ardiles, Ricky Villa, Graham Roberts, Micky Hazard, Tony Galvin, Garth Crooks and Steve Archibald and we had our second best manager Keith Burkinshaw at the helm as we moved into another golden era in the Eighties, with back to back FA Cups and the UEFA Cup. It was then that I had my greatest ever night at WHITE HART LANE. Seeing your team win at Wembley and lifting the FA Cup I thought would have been the greatest football feeling ever, and it WAS, at the time, but seeing SPURS lift the UEFA Cup at home, at ”White Hart Lane, the World Famous Home of the SPURS” and in the style and circumstances of the game itself was truly and utterly the utmost joy I’d felt since my time of going to our great home. My eyes truly have seen the Glory of the cups at White Hart Lane and I could sing that song knowing that it was true. So this season will be our last season there, it’s going to be emotional, even from a distance, but I will do whatever I can to come over and grab at least one last game at our beautiful home, which will obviously be more difficult, because of demand and the fact that 4,000 seats have been ripped out. I’m so excited about the future of our Spurs, we potentially have our third best ever manager in Mauricio Pochettino and a team of potential Champions and European Champions, add to that our New Stadium which is being built next to our beloved White Hart Lane and soon will engulf it making it impossible for me to think of it as anything other than White Hart Lane. I hope that with the naming rights, the club find some way of incorporating our long standing name, I mean it has a beautiful ring to it doesn’t it? Not like ‘The Haemorrhoids or Anfield or The City of Manchester stadium’. Like TOTTENHAM HOTSPUR, just seeing it written and saying the name gets me excited. Our home, whatever they name it will always be ”WHITE HART LANE” to me. Ali Hasan is an ex-pat living in the Czech Republic. Born in Hackney, he lived in and around Tottenham for most of his life until 2003. His father was interested in football and when he arrived in England in 1958, he went to see Tottenham, Arsenal, West Ham and Chelsea and easily decided that Tottenham would be his team. The rest as they say is history. 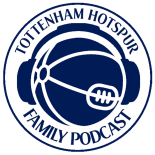 This entry was posted on 19/07/2016 by javadmovahedi in Uncategorized and tagged COYS, thfc, Tottenham Hotspur Football Club, White Hart Lane.